Koch addiction can drive people to engage in all sorts of unseemly behavior. 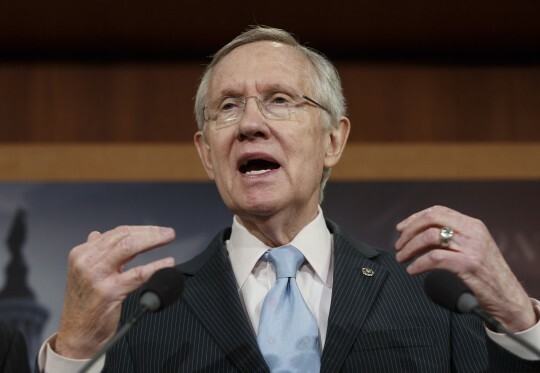 Senate Majority Leader Harry Reid (D., Nev.), for example, seems to have violated Senate ethics rules in his feverish quest to smear the Koch brothers. The post, titled "The Facts About the Koch Brothers," was moved from the Nevada Democrat's homepage to a less prominent position on the site Wednesday following inquiries by the Washington Examiner. The Senate Rules and Administration Committee strictly bars all "partisan" or political campaign posts on senators' official websites. It appears that the Koch-funded Harry Reid won’t let a few "rules" get in the way of his tireless campaign to disparage the libertarian philanthropy barons. He seems to genuinely believe that the Koch brothers are a greater threat to America than Vladimir Putin. Rules didn’t stop him from enriching his own granddaughter with campaign funds and trying to hide it on a disclosure report.